Welcome to my first blog hop. 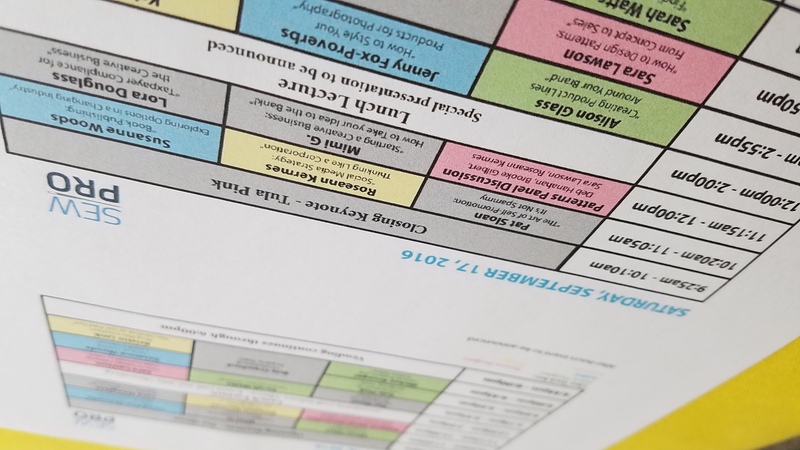 In September I was fortunate to attend in the first Sew Pro Convention in Chicago. The experience was amazing in so many ways. I tried to go into the event with no expectations because I wanted to absorb and learn as much as possible. I came away having learned more than I could have imagined. The event was organized so we had time to learn in lecture style classes followed by Q & A sessions with the instructors. There was time to network with other soon to be and current Sew Pros and make connections for collaboration. 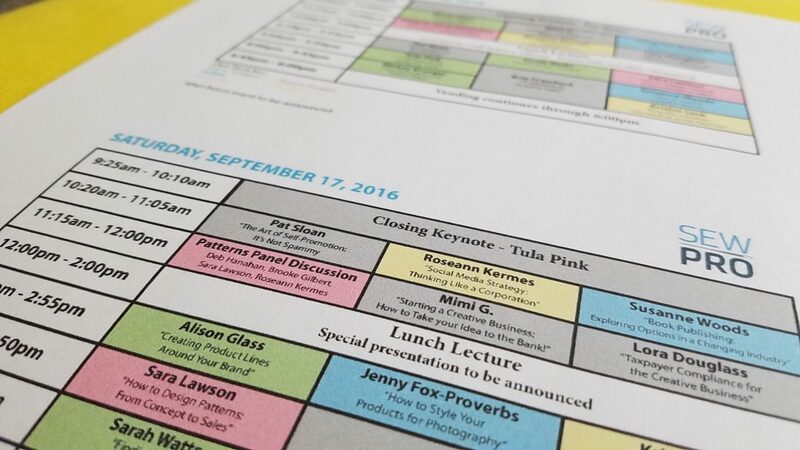 The mornings started with key note speakers who had so much to share with us they didn’t have enough time to fit it all in. And they were so amazing to open up and share their experience in the sewing industry with all the tips to help us get started and keep going. My brain was so full of ideas and inspiration after leaving this convention…and I am working everyday to put all I learned into practice. I heard this so many times from every single instructor. Do the work and keep doing the work and do the work again. And this rings so true…practice, practice, practice. Practice will only make you better at what you want to do. I took a pattern design class taught by Sara Lawson of Sew Sweetness. She shared information on instructions, design, layout, and printing. It was amazing to get the information I needed to design patterns. My takeaway from the class was that I could make my patterns so much better. So I decided to revisit the only pattern I have released and re-work it to make it better so I can set a standard for all the patterns I plan to release. I didn’t realize until after I released this pattern how much I really enjoyed designing, writing, and developing patterns. I have so many pattern ideas and having an identity to make them all recognizable is important to me. The pattern is called Ten Squared. I developed this pattern through an experimentation with Half Square Triangles (HSTs). Setting out to challenge myself to create an entire quilt with HSTs without any repeating blocks, I designed a dynamic graphic pattern and set out to recreate it in a quilt. In the re-work I updated the directions for assembling the quilt and redesigned the front cover so I can use the same design for all my pattern covers. Be on the lookout…Penguin Feats are on the way! I also created this quilt top using the new instructions and some really bright Alison Glass fabrics. The pattern is available in my Craftsy Pattern Shop and my Etsy Shop. Download your digital copy for only $6 until Monday Nov. 21, 2016 at 8pm PST. After that the price will be $8. Making connections at SewPro was an important tool I didn’t realize would be possible. It has been difficult to establish connections over the years as I have moved a lot. So I was grateful for the opportunities given to us to network and build relationships. I really feel connections are important because we can all use the support to help us reach our goals. And those connections create collaboration, which only makes everything better. Two are always better than one. And three or more can make everything just awesome….just like this blog hop. The collaboration among us has created something bigger than one individual blog. There are some fantastic prizes on this blog hop. A prize package including a fabric bundle and patterns will be offered to a lucky winner on Saturday, Nov. 19th. In order to enter for a chance to win that package follow the Rafflecopter Giveaway Link below. 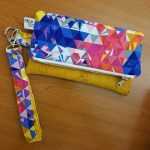 In addition, I will be giving away this colorful foldover wristlet made with beautiful Alison Glass Ex Libris fabrics and cork. In order to enter the drawing for this please follow me on Instagram @penguinfeats and tag me @penguinfeats in your favorite make on Instagram. I want to see you “do the work”. Please make sure your Instagram account is public so I can see the post you tag me in. I will choose a winner from the tagged posts on Monday Nov. 21, 2016. Please take some time to visit the other blogs on the hop. Since I am pulling up the rear with Becca, Holly, Teri, & Deanna you don’t have much time to enter the giveaway, so be sure to get your entry in before 12am on 11/19. A Rafflecopter Giveaway>>>The Rafflecopter giveaway has ended! You still have time to win the Foldover Wristlet. Please read above for that giveaway! Trinia! It was so fun hanging out with you and getting to know you at SewPro! I hope we can get together again one of these days! 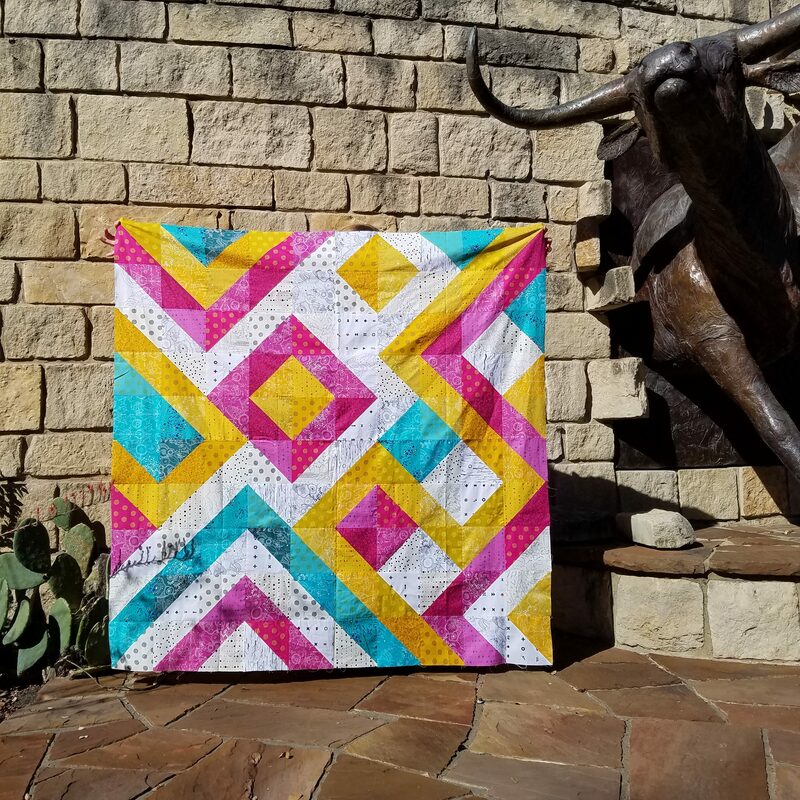 Your Ten Squared quilt is really really cool! Thanks so much Lisa Lisa!! It was great getting to know you too! And now that I am closer…you just might see me more often!!! Nice design and super cute wristlet! Trinia, I am so happy I met you at Sew Pro. I love your sense of color and the #100blocks #100days. Beautiful quilt that you made and shared above. We still have to do our interview. Looking forward to it. Thank you Anne….and so happy I met you too! Looking forward to the interview! Thank you Monica!! 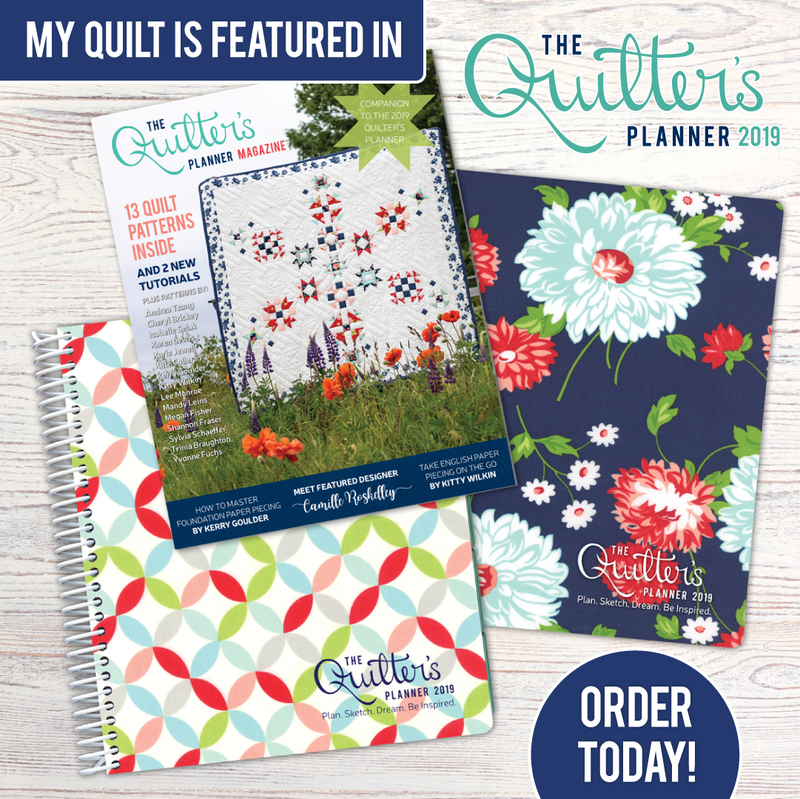 The pattern is available on Craftsy & Etsy….and on sale this weekend! Thanks Andi….I love that you can make HSTs in so many different sizes so easily!! Very cool pattern! Sara’s presentation was really comprehensive, and the panel discussion, too. I can’t wait to see what’s next from your line! Thank you! I really enjoyed all the classes and learned something from every instructor! Wishing I had a twin to take the classes I missed because there was so much offered!! That’s the truth! I did manage to arrange to swap notes a couple of times, but I still feel like I missed out.